HC-ICE-03-EF has two types: the card and the box. Generally the cards are inserted in our 2.5U/1U rack at the center side. They can be managed by the management software HCView at the center office. 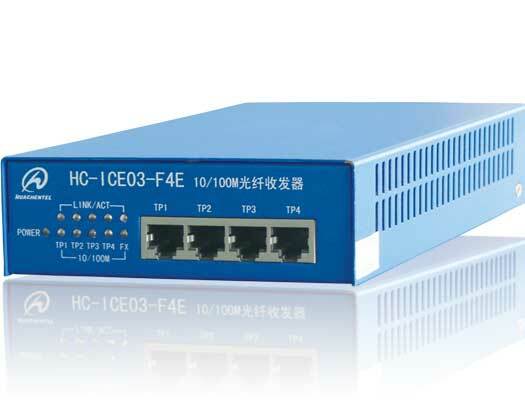 IEEE 802.3 10Base-T and IEEE 802.3u 100Base-Tx, 100Base-Fx completely compatable.